SARASOTA, FL, August 18, 2017 /24-7PressRelease/ — PointofSale.com, a website and online magazine for the POS industry, has released the Summer ’17 Issue of the Point of Sale Magazine. 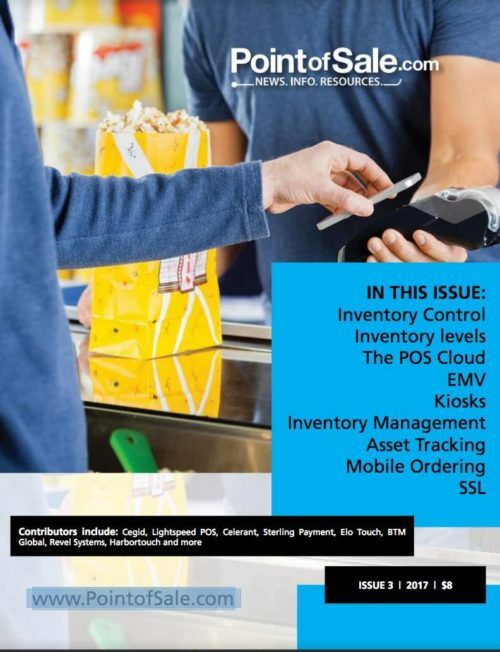 The user-friendly magazine includes great articles on inventory control, the POS cloud, EMV kiosks, mobile ordering and SSL. The newest issue offers articles from POS experts with helpful advice, tips and trends for any type of business. The newest magazine offers invaluable insight from other experts in the POS industry. Contributors include Brianna Moriarty of Star Micronics, Djamel Toubrinet of Cegid, Cole Goebel, Nicole Bryan of Sterling Payment Technologies, Wasp Barcode Technologies, Kimberly Berneck of BTM Global and Jason Feemster of Point of Sale USA for Harbortouch. The magazine also provides a list of upcoming trade shows in the retail and POS industry. Pointofsale.com itself offers over 6,000 POS-related articles for SMB readers to utilize. Don’t miss out on the opportunity to stay-up-to date on the latest from top POS experts. The third issue of POS is a must read! Barcode Media Group Inc is a publisher of websites for technical content.